This very much a case of incremental change. Autocar reports “The Clio 5 is the first Renault to be built on the group’s CMF-B platform. At 4048mm long, it is 14mm shorter than before, with a 6mm-shorter wheelbase and a roof that’s up to 30mm lower. The body-in-white is 22kg lighter.” The question is whether one can really call this a new car or merely a very thorough revision in the mode of the Opel Corsa. a and the Ford Fiesta. You can see from the marked-up images that this is a remix rather than a whole new song. Turning to the rear, if you look at the above photo you can see some sculpting around the DLO. That’s articulation, I suppose. The new and old front end are especially hard to distinguish. This is what you’d expect from a mid-cycle facelift not a claimed new model on a new platform. At the back of all this is the fact that customers like the Clio’s looks and that the action in cars is on the inside. All that new technology and connectivity needs a new housing. The new interior has a dramatically simpler set of forms: it’s very horizontal; the fun not-quite-oblong of the centre console is gone; there are new door skins; round vents are replaced by very VW-like units. Premium is the claim, meaning the real difference is probably going to be to do with the plastics and fitting concepts. From a geometry point of view, the new forms could plausibly be described as Polo-chasing. It’s all very sober and serious. It’s a pity premium always means serious and sober. It’s not that I want design chaos so much as an imaginative take on good design principles. At first glance, this interior tends towards autopilot (though undoubtedly very good designers sweated a lot over every square centimetre). In summary, this Clio does pretty much what the old one does. Given the dimensional similarities, the car is indeed another comprehensive face-lift and not a new car whatever they may call the platform. And in a way this strategy makes sense. People spend their time inside the car; digital tech changes quickly and there is more emphasis on the quality of interiors than the styled shell it is all wrapped up in. So, will this be a case of a repetition of the 5 to SuperCinq experience? Or a clever allocation of design resources? I like that it’s shorter than the outgoing model. How often do you see that nowadays? The exterior is very aggressive when you think back to what a friendly-looking little thing the original Clio was. 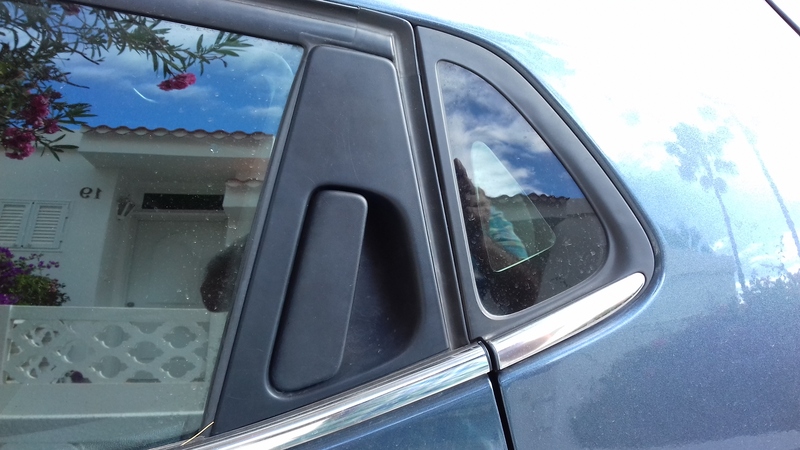 It’s hard to tell from the photos whether it still has the world’s most useless tiny vestigial rear three-quarter windows or whether Renault have gone all Insignia on us and used a black plastic sail panel. The interior as pictured looks nice to my eyes and quite sporty. Good point about the micro-window. The current car has a little beer-mat sized panel. The new car weighs 22 kg less and maybe 250 g of that is the elimination of the little window. Still, to get rid of it leaves a dumb black area at odds with claims to premiumity. The change in length is well within the limits of tweaks that don´t need changes to hard points. The 6mm change in wheelbase is also so small as to be undetectable. My diagnosis is that that the difference between the Super5 and 5 was greater than between Nouvelle Clio and Vieille Clio (Laurent, you are reading, I am aware some adjectives go front of and some go after the noun… beaux, bonne, cher, grande, gros, haut, jeune, joli? but I can´t remember if my list is the fronts or backs). Apologies…. Et DTW la seule website automotive multilinguale du monde Anglophone?? … or something along those (clunky) lines. The rest is fine. Thanks Laurent. One mistake isn´t terrible. It has been seven thousand years since I did French academically. It still lurks under piles of Danish and German and I have had cause to use a little in writing lately. A colleague of mine (English) delight in chatting in French from time to time. My drinks collection is turning French recently with Suze, Chartreuse, Quintinye and Dubonnet joining the ranks. I haven´t opened the Dubonnet yet a it´s only job is it make Queen Mother cocktails and I have no gin generally. If you added it to blended whiskey you might get a very wierd variation on the Rob Roy. It would not be a Rob Roy, I suppose. Maybe a Robespierre. Yes, Talleyrand is a nicer sort of name yet I think the roughness of a Queen Mother cocktail rather suggests something blunt for a name. I was not aware it two parts Dubonnet to one part gin. I was doing it fifty-fifty. If you can´t get Dubonnet, try Campari. It´s not subtle. For a bit of sophistication maybe Suze would work. I wonder if one can play cocktail dominoes, or cocktail Mornington Crescent. The tiny rear window might have been of very little practical benefit, but it says ‘premium’ in a sub-conscious way. Renault et al still have a lot to learn about what makes a product desirable. Overall, the new Clio is another good looking Renault and the much improved interior should do nothing to harm the still strong sales performance of the current model. * Not glass, but some type of plastic, I would guess. SEAT went to a bit of trouble for that detail. I like that (and the colour). The outgoing Clio also has a hidden rear door handle, a truly irritating feature in many ways as it makes the door handle more chiral. I really like that version of the Leon, especially (and unusually) post facelift. I think it influenced a number of cars in the class that followed, including the Astra. Hmm…I’m not sure that any “premiumness” added by the micro-window isn’t undone by the mix of materials surrounding it incorporating the door handle. * I happened to walk by one on the way to lunch. Useful photo, Daniel, thanks. Without wanting to be provokative, could it have looked any better? Congratulations to Daniel for thinking it could look better – that´s how designers think. I can get stuck in punter mode and think, “that´s the way it is” sometimes. Had it been high gloss black, it would have looked rather better. My problem with the current Clio is actually the handle, which looks cheap and is ergonomically unsound. * I would instead choose a conventional “proper” handle and a slim trailing edge to the door window frame to reduce the visual clutter in this area, but keeping the micro-window. *The handle pictured is oriented so that it invites you to use your right hand to open the door, leaving you standing behind the open door. A conventional handle would naturally be opened with the left hand, positioning your body correctly in the door opening to facilitate getting in. This is a common flaw with such “concealed” door handles and a pain if you’re carrying anything. I like the new interior very much. It’s on the sober side, yes, but the shapes are friendly and not as linear as in a VW. The colour touches are great, too – though I suspect they will only be present in higher spec levels. On the outside, it’s quite Polo. Not that it looks like one, but they also took the old shape and just added unnecessary features. Poor. At least it hasn’t grown like its Wolfsburg competitor. Oh, did I mention? Two thumbs up for the colour! 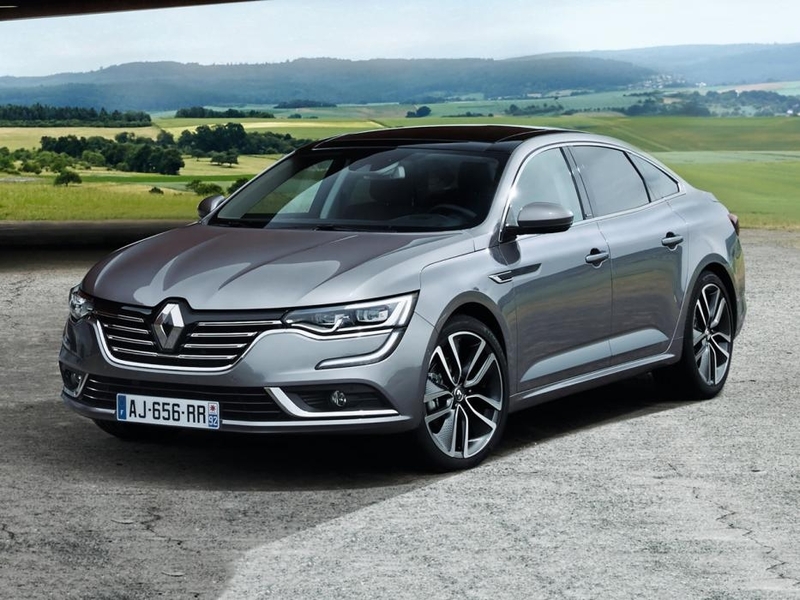 If this car is the first Renault to use this new platform then it is an all-new car, despite its visual similarity to the old one. They say it´s a new platform. The appearance of the car is so strikingly similar as to suggest that “new” has been redefined somewhat. True dat, although marginally shorter wheelbase and lower roof (which would require repositioning of seats etc) suggests some fundamental changes beneath the skin. I have come to the view that progress in traditional car ‘platforms’ has now reached a plateau. VW’s MQB and BMW’s CLAR are good examples – modular, strong, mixed-material structures that are about as good as it gets. Renault’s ‘new platform’ may rearrange the hard points but use a lot of carryover technology and processes. I would still contrast this with, say, the current Fiesta, which is clearly a reskinned and updated version of the (very good) previous model. Renault seem to have done a bit more work. “Chiral”: that’ll be my new word for today. Thank you, Richard. Oh, the Polo. It´s such a dreary bit of over-wringing design. My pet word “elaboration” springs to mind, corners on corners and sweeps on the curls. I should have added, the forthcoming Golf is SO similar to the Mk7 that one wonders if it’s just a deep facelift, like the Mk6 was of the Mk5? Daniel: no doubt, the Clio isn’t Polo bad, I fully agree. But still the creases on the front wing and behind the DLO add nothing to the design. I rather welcome the new Clio in the way in that it is an evolution of the previous car, and also demonstrates clear visual relationships with the Mégane and rather nice Talisman (not sold in the UK, more is the pity). 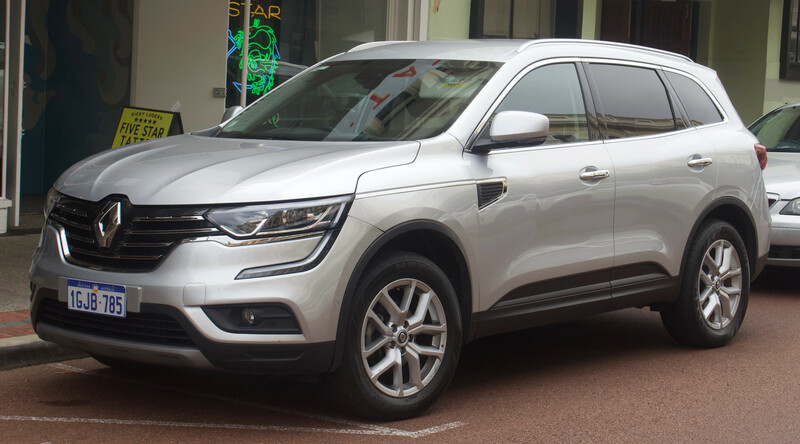 It’s come to my notice all of a sudden that Renault has a rather nicely designed range of cars – with the Kadjar and Koleos being the exceptions that prove the rule. The Clio was already one of the most alluring designs in its class and it would have been a shame to discard it just for the sake of the new (after all, we all seem happy enough to let the Golf and 911 evolve through the generations). From the photos, I find the surfacing a little more taught, the detailing better defined and it looks better finished. I am not keen on the family-look DRLs at the front but at least it avoids the ridiculous Christmas light-show at the rear which besmirches the Mégane. The interior is clean and rather nice, but, as Richard states, somewhat unimaginative. Overall, if I was in the market for this kind of thing, this design my swing it for me. Interesting that the boot is bigger than the capacity stated for the new Mazda 3 hatch from the class above. I mention that as, when I first saw this new Clio, it put me in mind of the recent design evolution of that car. The very same idea occcurred to me as I came marching back from the local shop. Renault´s range is consistent also the cars can´t be mixed up with each other. I am still not mad about the Talisman but the Espace vies with the Volvo S90 for the most acceptable exectutive car available. Good to see Renault on much more assured ground these days, rather than their recent hit-and-miss experimental period. I can’t get on with Renault’s spiky headlight and DRL treatment. Daniel: those vertical door handles tend to have a left or right hand bias, as you describe them. My assumption is that the Clio will retain the same handle and same micro-window concept. The Hyundai i10 shown above is past the limit of what is acceptable for an area of mock-DLO. That said, it is a small and inexpensive car. I have got over my dislike of the same feature on the Insignia since overall it´s a very sleek and lively-looking shape overall. 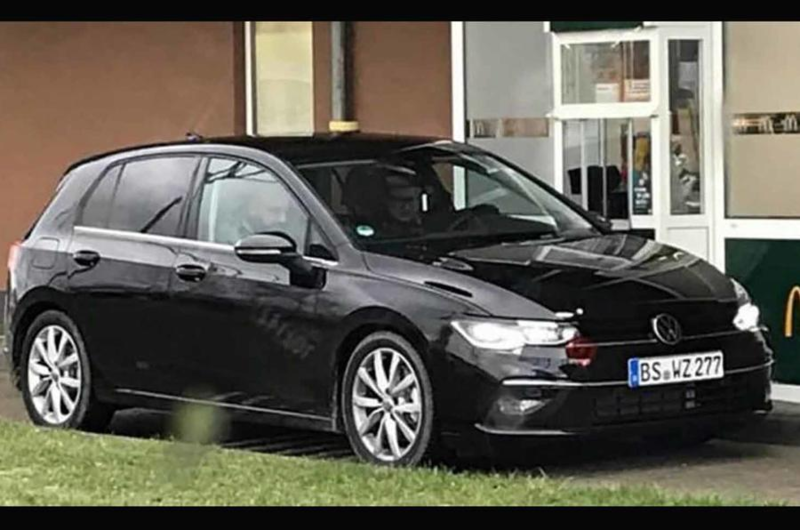 I´d rather it wasn`t there too – it was almost certainly something foisted on Opel by the people in GM head office (to keep the cost down for the Buick version). It’s funny isn’t it (as is often said on DTW) that I find the Hyundai i10 plastic completely acceptable. I perceive it as ‘mirroring’ the area around the front of the door / mirror area. Would it be more acceptable to you Richard if it were masquerading as a vent? Or is it just the falseness overall that annoys you? I find the rubbing strip affairs along the doors far more objectionable. Adrian: I expressed myself poorly. 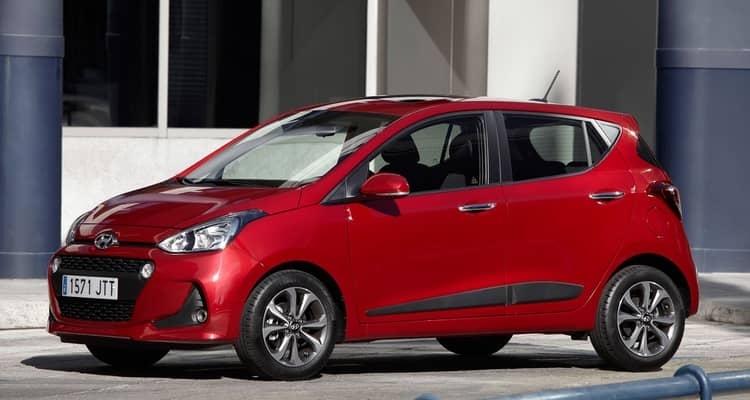 I meant to write that the i10´s panel was such that the price point excused it being a bit of a black panel too far. You point out that it echoes the mirror sail panel. True. I hadn´t thought of that. That mitigates it further. More consideration leads to me to think often (or quite commonly) the graphic outline of the sideglass no longer completely corresponds to the area through which one can plausibly see (“DLO fail” is the term from TTAC) in the name of graphic excitement etc. Given that starting point, the i10 is okay and the Insignia not okay but I have got used to it (don´t care any more). If we were really to deal with this, it would be to write a car design law banning divergence of the transparent area of DLO from the graphic outline. If the area is large enough to plausibly be glass then it should be glass. Hyundai could have put glass there; so could Opel on the Insignia. Since none of these Cyclopean-eyed Renault strumpets roll on our shores, I cannot possibly comment on them. I can only put forward the term used by a US writer for years for those nasty plastic pieces placed where glass should be, as a sign of imagination and budget running out, and it is DLO-fail. Sums up the egregiousness.